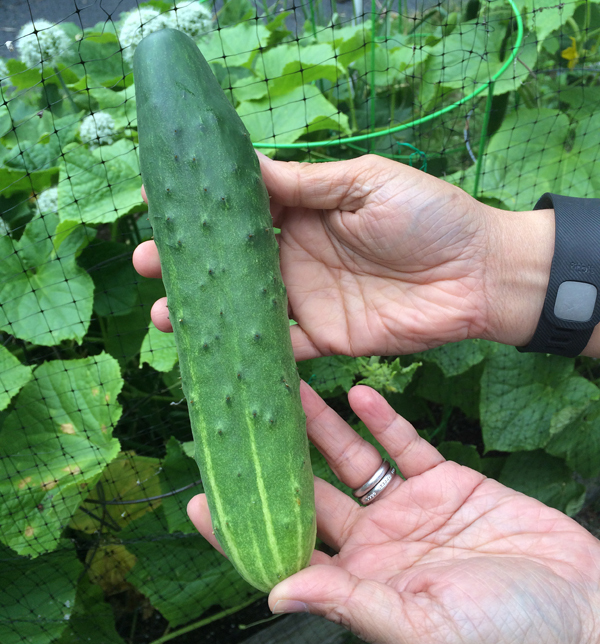 We have started picking cucumbers from the garden. Enough to make a small batch of pickles. We used the cucumbers for a half gallon of shake pickles. I know the jar looks like a quart jar, but that is because Aaron is holding it. Aaron's mom used to make these pickles. I remember going to their house and taking a turn spinning the jar around the kitchen counter. They are easy to make and you keep them in the fridge so you don't have to can them. 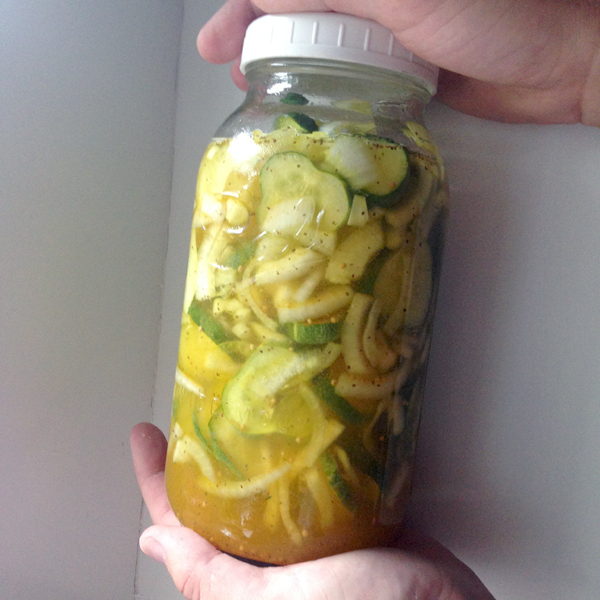 Layer sliced cucumbers and onions together in a gallon jar. Stir together other ingredients and pour over the cucumbers and onions and place in the refrigerator. Shake once a day for seven days.